Thank you for your interest in the Zoo Crew program! The 2019 application is now open. 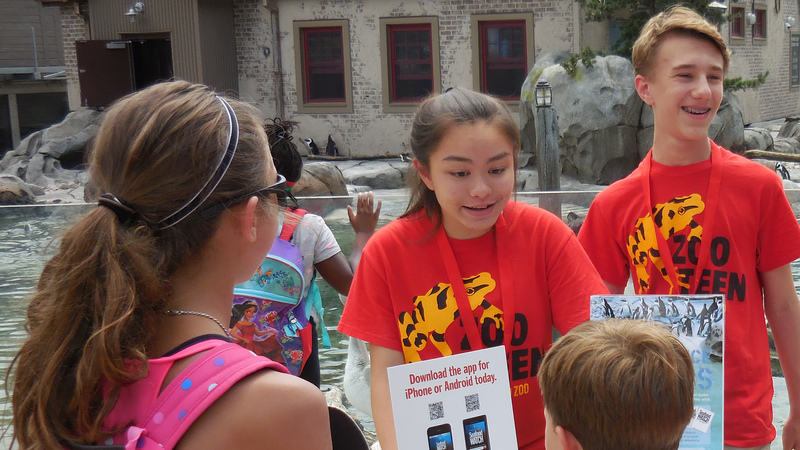 Zoo Crew is a three-week summer service learning and volunteer training program for 14-17 year-old students with an interest in animals, conservation, and leadership. Applications are due no later than April 30th. For details about the program, please read the information packet below. The reference form will be attached in your confirmation email after you submit this application. Please forward the form to a teacher, as well as one other unrelated adult who can speak to why you’d be a good fit for Zoo Crew (this can be another teacher). This program is 12 days long, Monday through Thursday from 9:00am to 4:00pm. By checking this box, you are confirming that you are available to attend every day during the duration of your session. 3. Have you applied to Zoo Crew in the past? 4. How did you hear about Zoo Crew? What was the name of the staff member or volunteer? 5. Do you hope to stay on as a volunteer year round? If accepted, a $150 registration/materials fee for Zoo Crew will be due at orientation. This fee is waived for Baltimore City’s public school students (enrolled now and in fall 2019), the Zoo’s neighbors (residents of the 21211, 21215, 21216, and 21217 zip codes), as well as any student who qualifies for free or reduced lunch. If the registration fee presents hardship but you do not qualify for free or reduced lunch, please skip this section and email zoocrew@marylandzoo.org to request a fee waiver. Please complete these questions in one sitting, your answers will not be saved if you redirect or close this page prior to submission. We recommend taking your time when answering — typing out your answers in a separate document first could be helpful. 2. What activities and hobbies are you involved with both in school and away from school? By checking this box, I verify that I have completed the above application independently and confirm that all written work is my own.